All aboard for an old-fashioned adventure story mercifully free of vampires and where no-one dies a protracted death from an incurable disease. The setting is the Canadian wilderness, 1887, so there is no possibility of any dystopian resonances either. But that said, Kenneth Oppel still has to work hard to keep his story quite literally on the rails. Adolescent Will, on the first journey ever taken by the greatest steam engine ever built, is part of a moving train-city seven miles in length. His father, endangered without knowing it, is driving 987 carriages which range from first class to something more like a slum for its third class passengers. Taken up by a travelling circus with its own special quarters, Will manages to avoid the wicked brakeman Brogan out for his blood after he witnesses him murdering a former colleague. Will endures a number of near-escapes, at least one too many as a degree of repetition starts to kick in. But there is a nice sub-plot involving his growing feelings for Maren, a female acrobat his own age and equally keen on him. All this time adjectives fly past and melodrama continually beckons as the author strives to keep up with a story ultimately too long for its own good. 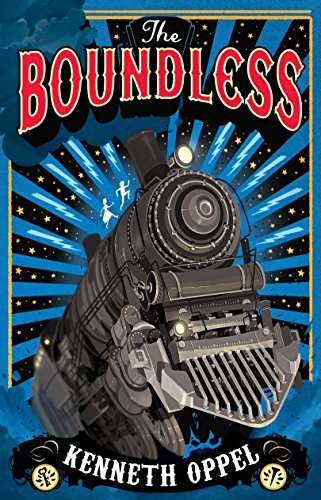 Its image of a monster train remains a powerful one, however, and there are other memorable moments in this hard-working novel looking back to a time when adventure ruled supreme in fiction written primarily for uncomplicated enjoyment.